When the founders returned to the UK after living in Portugal, they had 2 small children and a very busy life. They couldn't get the lovely, strong, coffee taste they were used to easily from instant or regular coffees already on the market, so they decided to create coffee in a bag - not a new idea, but one they knew they could do better by using the right coffees. Their coffee bags are made using a fully compostable material designed to give the maximum infusion and come in a range of delicious types, some are their own blends, and some are single origin coffees. 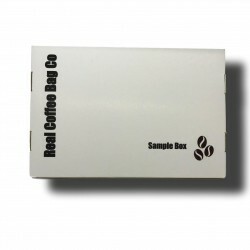 Real coffee, wherever you are, without the hassle! Cassim Gibbs Cassim Gibbs on Google "I knew the coffee was going to be good the instant I opened the bag! The smell of freshly ground coffee (in a tea bag) filled my kitchen and needless to say tasted amazing!! 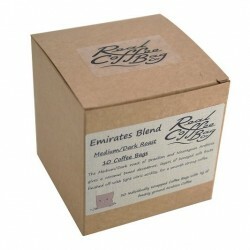 All the convenience of instant coffee but with much more flavour and taste." Mike and Val Connolly, The Connollys on Emirates Blend "Nice and tasty, convenient and clean way to get a good mug of fresh coffee any time of the day or night." 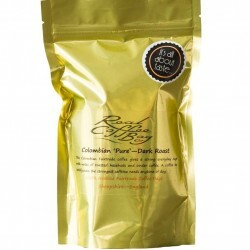 Karen Wood on Colombian 'Pure' Blend "love my fresh coffees so ordered 150g columbian to try out at work and not disappointed, brews quickly and has a full rich flavour, highly recommended and will be ordering the 1kg next"